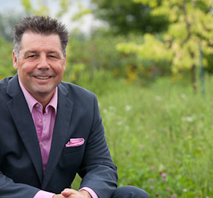 We’re very pleased to welcome Dan Taylor, President and CEO of the Greater Peterborough Economic Development Corporation, and formerly our very own Economic Development Officer for Prince Edward County. Dan will share his latest thinking and lead discussion on creativity and innovation, and thriving as an entrepreneur and small business owner in the Creative Rural Economy (a term he coined). This is a free event sponsored by the Hillier Recreation Committee.